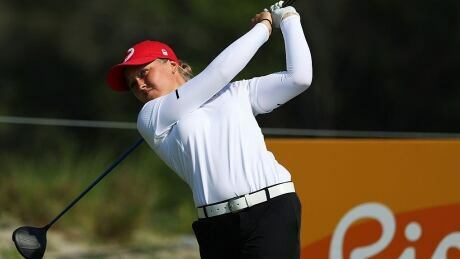 Canadian golfer Brooke Henderson had a rough day in Rio de Janeiro, shooting a 4-over 75 in the third round of the women's Olympic golf tournament to fall into a tie for eight place. 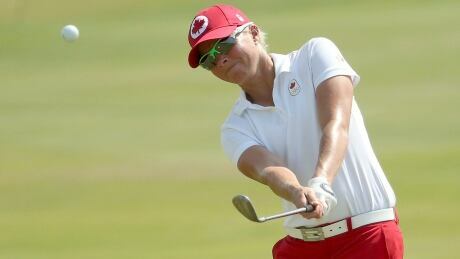 Canada's Brooke Henderson birdied each of the last four holes Thursday, and five of the final six, to close within two shots of the lead in the Olympic women's golf tournament. 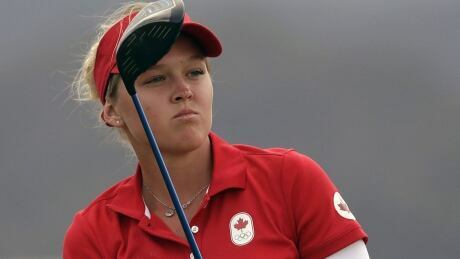 Canada's Brooke Henderson sits five shots behind the leader and is tied for 19th following her first round of Olympic women's golf in Rio. Canadian golfer Alena Sharp may not be a medal favourite, but the 11-year-LPGA veteran is gleaming with confidence coming into Rio, making her a darkhorse to reach the podium. 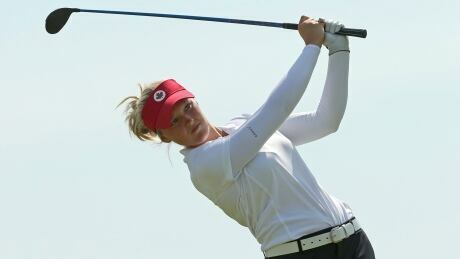 Canada's Brooke Henderson and Alena Sharp are relishing their Olympic experience. And while both are hoping to land on the podium, golf's Olympic return is also a showcase for the calibre of women's golf. 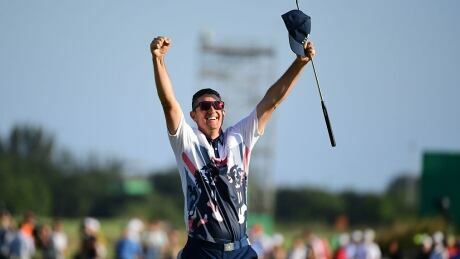 Great Britain's Justin Rose won the gold medal in men's golf at the Rio Olympics Sunday, beating Sweden's Henrik Stenson with a birdie on the final hole. 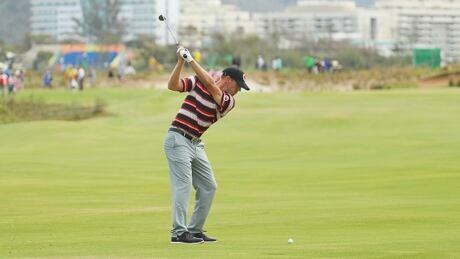 Canadians have some catching up to do if they hope to land an Olympic medal in men's golf in Rio. 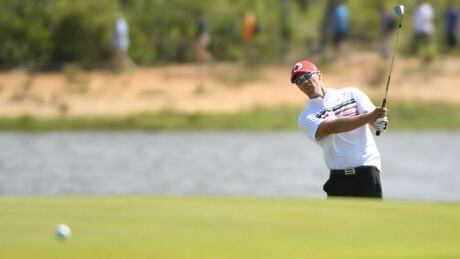 Canadian Graham DeLaet is within reach of a medal after two rounds of the Olympic men's golf tournament. He's tied for sixth, five shots off the lead. 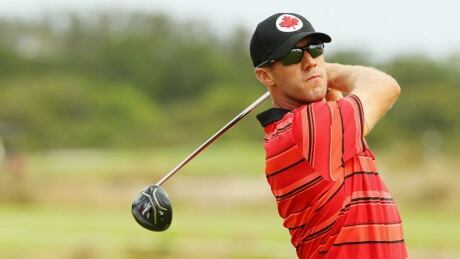 Canada’s Graham DeLaet made a strong start on the first day of golf’s return to the Olympics with a five-under par round of 66 in Rio. Former NHLer Ray Whitney will be caddying for Canadian Graham DeLaet as golf makes its return to the Olympics. You are currently browsing the archives for the Sports/Olympics/Rio Olympic 2016/Golf category.